With its soft leatherette over foam seat and back, perhaps it's easy to understand why the Amir Bar Stool is a top choice in homes of all sizes. The exquisitely designed barstool offers a timeless design that complements the d�cor in a modern or retro setting. Also, the barstool boasts matte black, powder-coated legs that are both strong and elegant. Choose a barstool that will maintain its quality for years to come � the Amir Bar Stool. 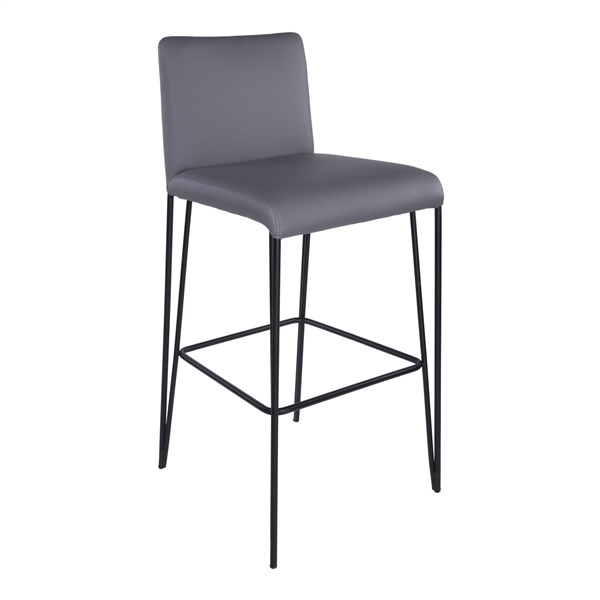 Timeless design ensures the barstool will match the d�cor in a modern or retro setting. Boasts a soft leatherette over foam seat and back that enables you to sit comfortably for hours. Features matte black, powder-coated legs that are strong, sturdy and sophisticated.